HDFC customers, who are facing issues with the new mobile app, can download the older version of the app from today evening. After a week-long drama and several agitated customers, HDFC Bank has pulled down its new mobile banking app. The Bank has already received a lot of flak for not being able to resolve the issue, with furious customers venting their anger out on Twitter. HDFC Bank has now been forced to restore its old mobile app on both Google's Playstore and Apple's App Store. Earlier on 27th November at its annual Digital Innovation Summit, HDFC Bank had rolled out its updated banking app which showed-off several new features including biometric access. However, the app became inaccessible soon after the update for as many as 6.5 lakh customers of the bank. Several customers ranted on social media, including Flipkart Co-founder, Sachin Bansal who tweeted "In this day and age, how can the largest private bank of India do this!" Post the update, several customers of HDFC Bank were unable to carry out mobile banking operations. In its apology, HDFC Bank requested its users who had deleted the older app to use NetBanking, PayZapp, PhoneBanking and Missed-Call Banking. HDFC Bank is now making the old mobile banking app available for download from 5 pm today i.e. December 4. "We are restoring the old Mobilebanking app in the App Store and Playstore. This is to prevent inconvenience to customers. It will be available to download and use by 5 pm on December 4. 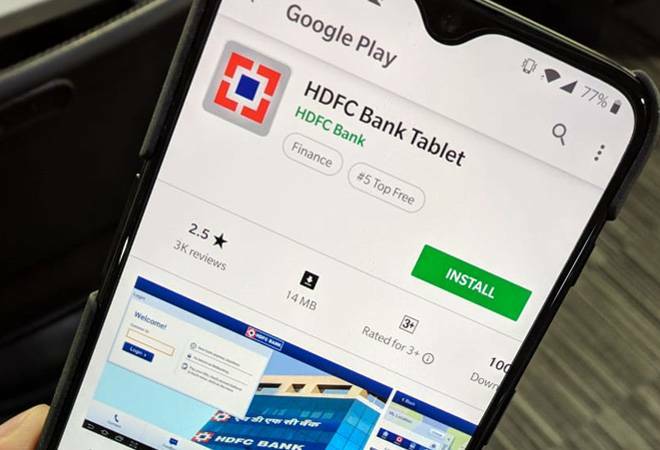 Customers who are already using the old app can continue to do so without having to download it afresh", HDFC Bank said in a statement on Twitter. The exact details of the problems with the HDFC Bank app are still unknown. The initial error messages that customers saw suggest that "high traffic" on the banks servers had caused the app to crash.